The Turkish Government is trying to prevent the Turkish public from knowing that Turkey has been serving as the transit-route by which the U.S. government and its allied Arab oil monarchies (especially Saudi Arabia and Qatar) have been supplying foreign jihadists and weapons (largely U.S. but paid for with Saudi funds) into Syria to oust Bashar al-Assad from power. Zaman’s editor has been imprisoned for publishing such prohibited truths, but somehow his newspaper continued reporting on a court case in which Turkey’s President Tayyip Erdoğan is accused of breaking Turkish law by aiding terrorists. That continued resistance by the newspaper might be a reason why the Turkish Government has now (as of Friday March 4th) shut it down. In May, the outlet [Cumhuriyet] published photos of weapons it said were then transferred to Syria by Turkey’s intelligence agency. … The articles, published on Cumhuriyet’s front page in May, claimed that Turkey’s National Intelligence Organization (MİT) is smuggling weapons in trucks into Syria and was caught doing so twice in 2014. The trucks were allegedly stopped and searched by police, with photos and videos of their contents obtained by Cumhuriyet. 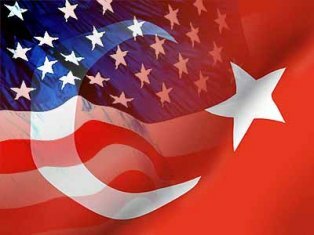 Turkey is a NATO member, and the famous investigative reporter Seymour Hersh had revealed in the 6 April 2014 London Review of Books, that on 20 June 2013 — just a few months prior to the sarin gas attack that Obama blamed on Assad and used as his excuse to invade Syria — the U.S. Defense Intelligence Agency reported that America’s allies in overthrowing Bashar al-Assad were engaged in “the most advanced sarin plot since al-Qaida’s pre-9/11 effort,” but the U.S. Director of National Intelligence denied that it was true. One U.S. ally there was Al Qaeda in Syria, known in Syria as Al Nusra, (Nusra and Erdoğan wanted this gas-attack to provide the excuse that Obama had set as his “red line” to overthrow Assad — a chemical-weapons attack in Syria.) However, Hersh reported, « Last May, more than ten members of the al-Nusra Front were arrested in southern Turkey with what local police told the press were two kilograms of sarin.” All of that had occurred prior to the 21 August 2013 sarin gas attack. The officer ultimately responsible for the planning and execution of the attack [U.S. bombing of Syria] was General Martin Dempsey, chairman of the joint chiefs. From the beginning of the crisis, the former intelligence official said, the joint chiefs had been sceptical of the administration’s argument that it had the facts to back up its belief in Assad’s guilt. They pressed the DIA and other agencies for more substantial evidence. ‘There was no way they thought Syria would use nerve gas at that stage, because Assad was winning the war,’ the former intelligence official said. Dempsey had irritated many in the Obama administration by repeatedly warning Congress over the summer of the danger of American military involvement in Syria. Obama’s move for congressional approval quickly became a dead end. ‘Congress was not going to let this go by,’ the former intelligence official said. ‘Congress made it known that, unlike the authorisation for the Iraq war, there would be substantive hearings.’ At this point, there was a sense of desperation in the White House, the former intelligence official said. Obama, in other words, was now trapped. He couldn’t fire all of his Joint Chiefs — at least not right away; it would be embarrassing, how could he explain it? And the Republicans were eager to expose his Administration’s disarray on the matter. So: the story was passed around that Secretary of State John Kerry got Russia to get Assad to eliminate his sarin stocks. Russia’s leader Vladimir Putin was happy to help Obama avoid invading his Syrian ally. That was how the ‘news’ organizations reported the backtrack — as a rare instance of U.S.-Russian cooperation: good news for everybody. But for Obama, it was actually the way out of a desperately embarrassing situation. And he never gave up his goal of switching Syria from the secular Assad to a failed state whose crucial oil-pipeline routes would be in ‘friendly’ (to Saudi Arabia and Qatar) jihadist Sunni-ruled areas of Syria, so that ‘our’ Arab ‘allies’ (the jihadist-financiing nations, as even Kerry’s predecessor Hillary Clinton had known them to be) can grab the world’s largest energy-market, Europe, away from Russia. There is simply too much evidence proving that Erdoğan is supporting ISIS and other terrorist groups in Syria. This is the reality of NATO: conquering Russia, first by switching its allies (such as Iraq, Libya, Syria, Ukraine, etc. ), is the assignment, regardless of the public’s safety. Even if the U.S. weren’t backing jihadists directly (which we are), we’re backing them by having jihadist governments such as Turkey and Saudi Arabia and Qatar as allies — instead of as enemies. ‘Our’ oil companies and mega-banks are in bed with them, and their top stockholders and executives, and their lobbyists, control the people who control the U.S. Government. The U.S. Constitution’s “We, the People …” has become only those “People.” The rest are now just for extras in crowd-scenes, at political campaign events — and their mass-mind-control is done by their media, ‘our’ ‘free press’ (who don’t report this reality), in ‘our’ ‘democracy’. Erdoğan is profoundly angry at the unsteady support he has been receiving from the U.S. government in their joint efforts to eliminate Bashar al-Assad. However, apparently, Obama doesn’t feel that the U.S. is yet ready for a nuclear war to be sparked between NATO and Russia — Obama thinks that doing it now would be premature. ‘Color revolutions’ and ‘Arab Spring’ and ‘Maidan demonstrations’, and other populist covers for coups (taking advantage of the local political opposition, which exists in any country), are a far safer way to gradually strip Russia of its allies and turn them into yet-more enemies of Russia — and, only then, can the rip-cord finally be pulled, and Russia be forced to either submit or else die (even if the rest of the world might die also). The U.S. has been doing this boil-the-frog-slowly routine ever since U.S. President George Herbert Walker Bush laid the foundation for it in 1990. So, the American government’s charade goes on. But already an MIT analysis — theLloyd-Postal report — on the sarin attack that occurred 21 August 2013, stated unequivocally that the Obama Administration was lying through its teeth about the matter. They provided excruciating detail showing why “the US Government’s interpretation of the technical intelligence it gathered prior to and after the August 21 attack CANNOT POSSIBLY BE CORRECT.” (That’s a tactful, yet passionate, way of saying: “Obama and his Administration were trying to lie this country into invading Syria.”) Yet, Western news-media still simply ignore the evidence (they can do that in this dictatorship), and report that Assad’s forces were behind the sarin attack. It’s still the official reason why we’re at war against Assad. Was even George W. Bush worse than this? Seymour Hersh had tried to get his news-reports on these matters published by what had been his regular publisher, the New Yorker, which turned them down; and he tried other U.S. outlets as well, but wasn’t successful in finding any that would pay his regular charges — and he had already spent much in order to research these matters. Finally, he obtained a suitable outlet, in the LRB. This is why his recent reports are being published abroad. Anyone who wishes to know more about what motivates the U.S. government regarding Syria should read the astoundingly brilliant article by Robert F. Kennedy Jr., published on an obscure environmental website, February 25th, “Syria: Another Pipeline War.” He tells so much suppressed history there, it’s flabbergasting to see it all brought together into one flowing historical narrative — and my checking of the few sources that I hadn’t previously known of indicates that his standards for quality-of-evidence that he builds his narrative on are as rigorous and high as mine are — which is rare. I very much respect that. Every high school student should read his article in order to understand how corrupt the U.S. is at its highest levels. The article is a masterpiece of historical writing. But even a masterpiece can have a flaw: his article plays down the role that leading Democrats after Reagan have been playing in GHW Bush’s long war to conquer Russia. We’re still in the post-Reagan era, just as, between FDR and Reagan, we had been in the post-FDR era. Obama is as rabid a Russia-hater as practically anyone except John McCain would be. If a piece of historical writing is going to be partisan (as almost all are), at least this one is partisan on the less-unacceptable side. But no intelligent American can be justified in simply not voting for President. That would be outrageously irresponsible. I won’t ever do that. Every intelligent and caring person must vote for President — not leave that responsibility to others (which would be unpatriotic — plus wrong and callous — for any well-informed voter). The “anyone but ___” non-voters are mere fools and frauds. They simply don’t care enough about the country to do their most-basic civic duty, which is to become informed and then to vote for someone on that basis (though never as a ‘protest vote’ — the nation is too important for any mere ‘protest’ — but only as a real vote, for someone who has an authentic chance of winning the election). Any mere throw-away ‘vote’ is like a non-vote. That article by Kennedy should be linked to by all of his supporters: it tells more about the man than any number of campaign speeches possibly could. It proves that he’s fit for the job, if anyone is. That’s one person who doesn’t need to campaign for the job. He’s an outsider whose knowledge and understanding of the subject is probably among the best there is, and whose heart is unquestionably in the right place — which would be a refreshing and radical change, a change that’s of a kind needed now more than ever in the U.S. But anyway: RFK Jr.’s article is a must-read for anyone who wants to understand the horrendous war in Syria. My article here is just a warm-up to it — and, I hope, a totally non-partisan one.